His second book is a corollary of sorts, almost the inverse to Fooled by Randomness: The Black Swan: Second Edition: The Impact of the Highly Improbable. The key takeaway being that we dramatically underestimate the probabilities of improbable events, as well as their outsized impacts. Its worth reading the entire thing. Over the years, I’ve found that Taleb’s essays are the best way to digest his thinking. This one is no different. 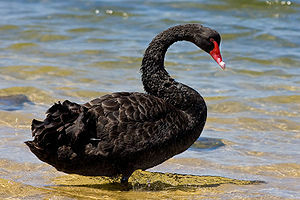 After Fooled by Randomness, there was The Black Swan. Mixed reviews, that one. Then there was The Bed of Procrustes. We’re not going to try to explain that. In any case, NNT had by that point in time, started going the way of Marmite. Now there is Antifragile: Things That Gain from Disorder. Are you saying that capitalism is good, but that 21st-century capitalism has gone too far? What we do today has nothing to do with capitalism or socialism. It is a crony type of system that transfers money to the coffers of bureaucrats. The largest “fragiliser” of society is a lack of skin in the game. If you are mayor of a small town, you are penalised for your mistakes because you are made accountable when you go to church. But we are witnessing the rise of a new class of inverse heroes – bureaucrats, bankers, and academics with too much power. They game the system while citizens pay the price. I want the entrepreneur to be respected, not the CEO of a company who has all the upsides and none of the downsides. Are those, errr, “enemies”? Or “bad guys”? Can people apply antifragility to their lives? In Africa, Asia and the Americas people head-load water – gyms don’t stress your bones, nature does. People also don’t talk about post-traumatic growth but some trauma is good for you. I also believe that people should go against academic education and focus instead on certification of skills. Note: NNT is based at the Polytechnic Institute of New York University and the University of Oxford. Okaaay, each to their own. “Antifragile” is an interesting idea, but as a book it is not without flaws. Mr Taleb takes on everything from the mistakes of modern architecture to the dangers of meddlesome doctors and how overrated formal education is. He overstretches the argument and is not as iconoclastic as he likes to think. There is a lot of familiar-sounding praise for Steve Jobs and the warnings about the dangers of stability will be well known to followers of Hyman Minsky. The valid reasons why people become employees (pensions, say) or companies become bigger, such as economies of scale, are skated over. But this is an ambitious and thought-provoking read. It is also a highly entertaining one, thanks to Mr Taleb’s in-your-face nature. “Antifragile” is as much about the author as it is about the world. He is a weightlifter and calls himself “an intellectual who has the appearance of a bodyguard”. He avoids fruit that does not have an ancient Greek or Hebrew name and drinks no liquid that has not been in existence for at least 1,000 years. He has little time for copy editors, even less for economists, bankers and those who cluster at Davos. He once spent two years in bed reading every book about probability he could lay his hands on. Whether you find Mr Taleb amusing or irritating, you want to read on.